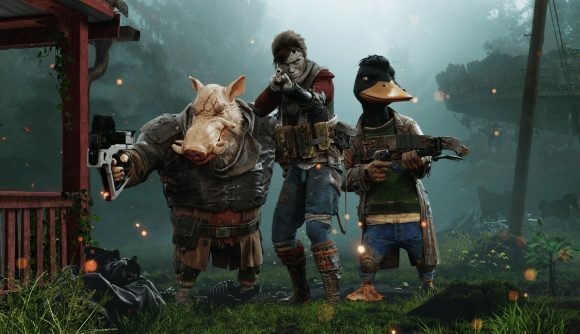 The developers of Mutant Year Zero: Road to Eden have announced that their animal-themed stealth/strategy hybrid will be getting its first piece of DLC later this year. Speaking at Epic Games’ keynote speech at GDC, developer The Bearded Ladies Consulting announced the new expansion. Information on the DLC is pretty sparse at the moment, but we do at least have a release date – you can expect to head back down the Road to Eden this summer, on June 25. Presumably, the DLC will be an extension of the story from the base game, but how exactly that’ll be approached isn’t clear just yet. Mutant Year Zero: Road to Eden was pretty well received when it launched late last year, netting plenty of scores in the high 70s and low 80s. We came away impressed, saying that “what makes Mutant Year Zero that bit more special is how its two components” – stealth and turn-based tactics – “feed into one another.” Hopefully the upcoming DLC can capture the same charm as the rest of the game. This story is developing. We’ll update with more information about the Mutant Year Zero: Road to Eden DLC when we know more.